A cotton drum patterned with green woodland tones gives this lovely lamp shade a fresh style. This drum lamp shade features a cotton exterior with renderings of cedar and moss, and a chrome spider fitter for a touch of shine. 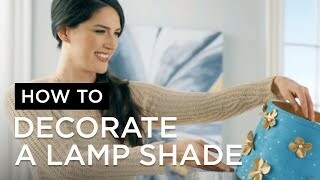 An appealing accent shade to dress up a floor or table lamp. The correct size harp is included free with this purchase. Cedar and moss woodland design. finally found 2 shades to fit my grandmothers very cool antique brass lamps which are quite old, and have a great deal of sentimental value. I think these shades will make them look so GOOD! If they look fantastic, I'll send a picture to your company. It's been a fun little project, and I'm almost 100% certain these shades are going to be wonderful! Will lighting be dimmer due to color? 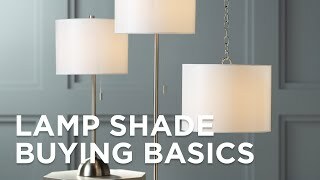 BEST ANSWER: Hi Sherri - Because of the color and design/pattern of some lamp shades, the light emitting from the shade may be a little dimmer than a lighter color shade with little or no design.